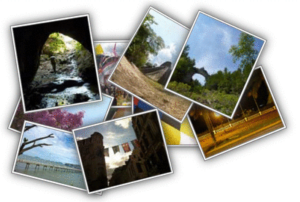 The photopile-web-part project is a SharePoint web part built using the SharePoint Framework (SPFx). This Web Part uses the great Photopile.Js created by Brian W. Howell (a popular jquery script) as a client side web part for SharePoint. With this Web Part, you can display the photos contained in a SharePoint Pictures Library as a cool image gallery that simulates a pile of photos scattered about on a surface. Thumbnail clicks remove photos from the pile, (enlarging them as if being picked up by the user), and once in view a secondary click returns the photo to the pile. This web part uses React, Office UI Fabric, JQuery, JQuery UI and Photopile.js. This web part is available in English (en-us) and French (fr-fr). You can use this web part with SharePoint Online (Office 365) or SharePoint Server 2016. Implement rich web part properties panel with controls like DropDown, Sliders, Toggle, etc.